Earlier this month, an employee from a global software solutions company wrote to us praising the onsite wellness program WCS implemented at his organization. 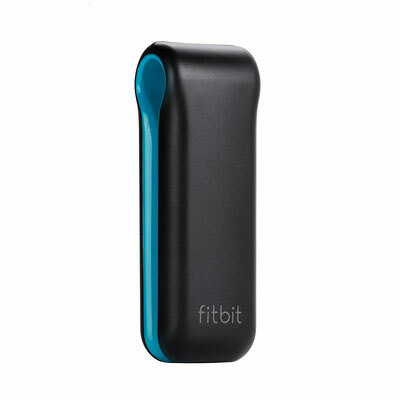 He described the incredible transformation he had undergone over the past few months all because of the fitbit pedometer employees were given at the start of an onsite fitness challenge. A seemingly small incentive, the pedometer inspired him to make significant changes in his life and embrace a lifestyle of wellbeing. Read on for his story. "The FitBit is changing my life. Silly, I know, that a small piece of plastic is what it took me to motivate myself! I have started taking lunch time walks after realizing how much of my day was sedentary. My concerns that I did not have time to take half an hour out of my work day have proven not true. In fact, through these walks I have found that I actually start thinking and planning in my mind what I need to tackle when I get back. The result is that I actually find myself more productive. I also realized that while I thought I was active, my FitBit active score and percentage of my day being active was extremely low. Yes, I was running, but that was still only thirty minutes a day active. The FitBit has encouraged me to spend more time walking and getting up and about." Stories like these are not unique, but it's extremely motivating for us as a wellness company when we see our work pay off. Success like this can happen to anyone, within any organization worldwide and can effectively decrease health care costs down the line. Contact WCS today for more information about our incentive program design and implementation. It's nice to hear such a positive story brought about by a corporate wellbeing program. Sometimes it's doing the smaller things i.e wearing a pedometer that can make a big difference to your health. I found that my turning point was creating a 'food diary'. This allowed me to monitor the calories I was consuming in a day and was in a lot of cases very shocking! There are many new methods to encourage employee motivation such as the so-called workplace exercise regimen and I'm sure that many others will follow in upcoming years. The truth is that money no longer plays a role in employee motivation and the traditional ways of keeping your employees constantly engaged simply don't work anymore.